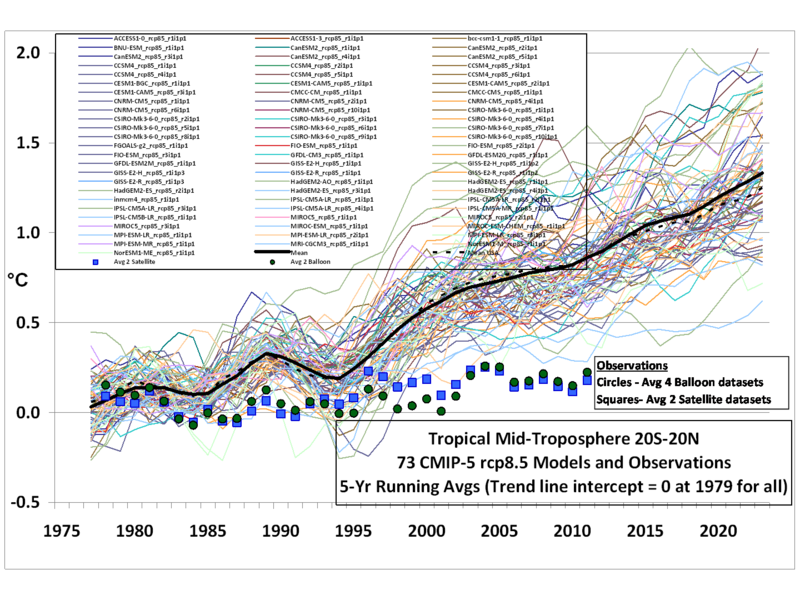 CASF ⋆ Page 10 of 10 ⋆ Cruces Atmospheric Sciences Forum - In science, the debate is never over! 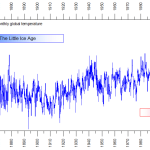 Sea levels are rising rapidly! Coastal communities are becoming more vulnerable to storms and storm surges! Small island nations are going to disappear beneath the waves! Climate alarmists have been making these claims for years, trying to tie them to events like “Superstorm” Sandy, which was below Category 1 hurricane strength when it struck New York City in October 2012, and Typhoon Haiyan, which plowed into the low-lying central Philippines in November 2013. The concept of ‘missing heat’ implies that a surplus of energy exists to be missed. 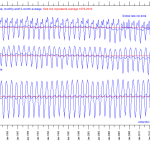 And the NASA GISS Model E projects a trend of increasing energy surplus. 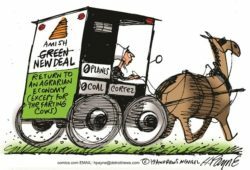 Unlike many fiscal budgets, earth’s energy budget is widely believed to be in surplus. Notice the increasing trend of anomalous net radiance. 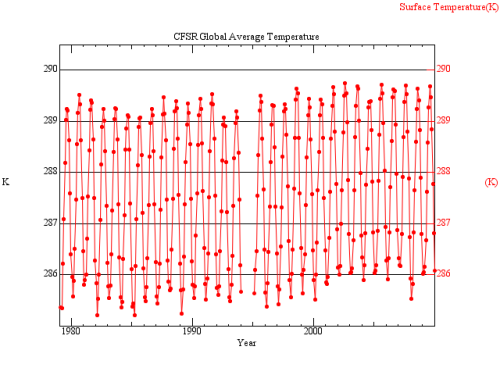 The CFSR monthly data sets are available at [link]. 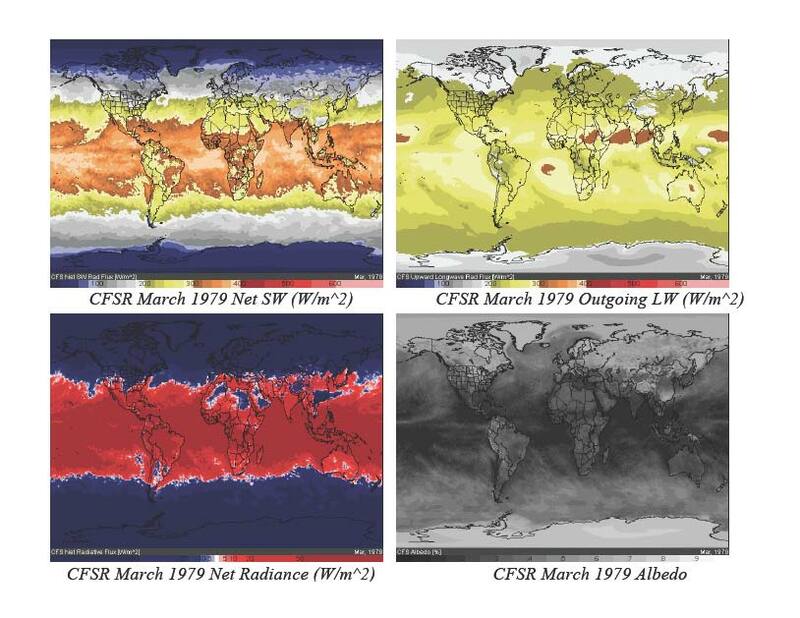 The CFSR Net Radiance data indicate radiative deficit following the El Chichon volcanic eruption in 1982, and again following the Mount Pinatubo volcanic eruption in 1991. 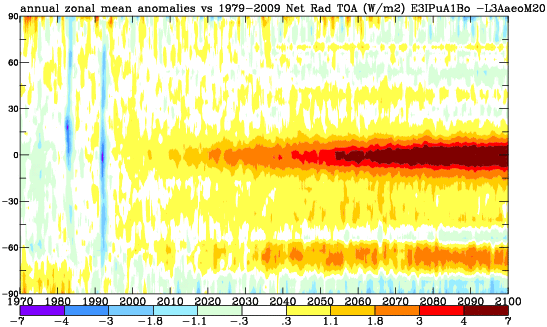 Also, the peak net radiative surplus appears during 1997 which coincides with the anomalously warm El Nino event. I was quite surprised, however, to note that the years 2001 through 2008 indicate net radiative deficit and that the overall trend was toward decreasing net radiance. To the extent that the CFSR radiance is accurate, it implies that earth was in radiative deficit, not surplus, for the decade of the 2000s and that for this decade, there is no ‘missing heat’ to be found. 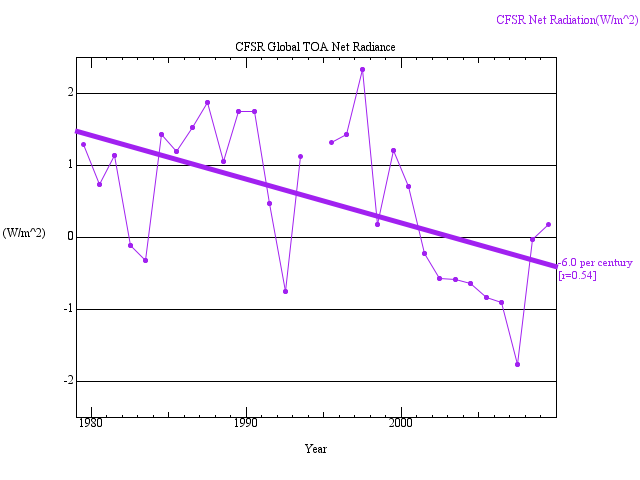 The negative trend in CFSR net radiation implies a divergence from the NASA GISS model projections cited above. The CFSR net radiative deficit also implies that energy loss to space, rather than shifting of energy within the climate system may be responsible for the negative trend since 2001 in many of the global temperature data sets. Biosketch: Steve McGee has a bachelor of science degree in meteorology. His long career of software engineering includes the development of numerous defense related systems providing analysis and display weather and atmospheric effects.